Swagger as a quality has had a tough time of it. In the noughties the done thing for many hip-hop artists to do was to shove the amount of dollar bills they probably didn’t make down the throats of anyone watching. This, for the most part, would be done in the form of items and actions that represented materialism gone wrong. Diamond dollar sign necklaces, gold plated grillz that required brushing your teeth with Brasso, and booties twerking on chrome-wrapped sports cars. They claimed it to be swagger. In all reality, it was outdated before it was even a thing. In addition to not being pricks about it all, more significantly the band have released, How Did We Get So Dark?, the much anticipated follow-up to their hugely critically and commercially successful self-titled debut album. It’s a sad thing that music that doesn’t have a “banging drop” and/ or isn’t produced by Calvin Harris doesn’t always get the attention from mainstream media that it should. 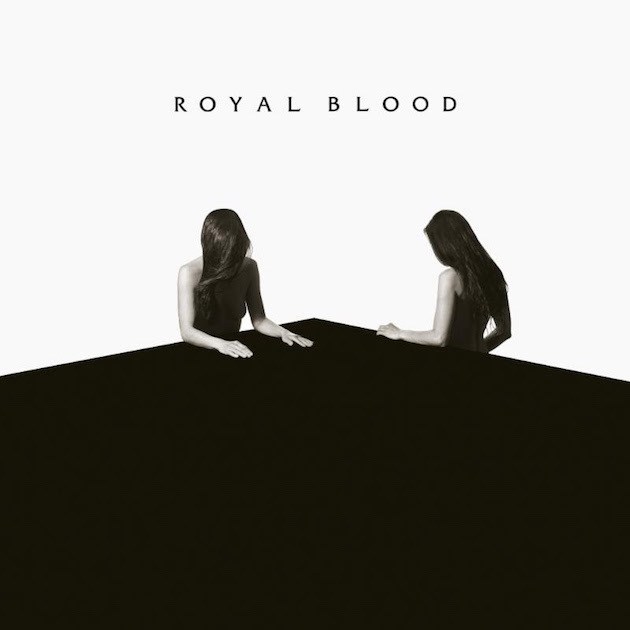 Royal Blood are an important and notable anomaly, and are clearly energised by this. It's so very obvious that they do what they want, and anyone who says or suggests any different will only be greeted by two proud fingers inches from their face. Kerr’s bold, honest, no-shits-given lyrics are fair representation of this mindset. Getting inspiration from events in his life since the band first found unparalleled success, the recurring theme of the LP is that Kerr has been wronged. Further to this, it fast becomes clear he isn’t one to simply accept this kind of thing lying down. Combined with the musical energy that forms the backbone of ‘I Only Lie When I Love You’, there is a hint of I-told-you-so glee as he points out how, “You only cried when I left you”. Defiance and unabashed confidence in ones self is the theme of ‘She’s Creeping’ as Kerr professes how, “It’s so boring being what you want me to be”. He evidently adds salt to the wound in the gritty ‘Hole In Your Heart’ as he quite happily requests for someone to, “Remember there’s nobody else that can love you like I could”. With this same self-assurance oozing through the music, it's as compelling a listening experience as it is a dive into Kerr’s deepest, darkest thoughts. The band are bold enough to let the listener stew in a couple of seconds of silence after Kerr comments that he, “Only lies when he makes a sound”. The strength of Kerr’s vocals are evident - he hits all the right notes on ‘Where Are You Now?’ with a new ease. And the band give the listener everything they have in them as second single ‘Hook, Line & Sinker’ comes to an extraordinarily climactic close. There's no denying the quality of the band’s talents, and the raw energy on show is deeply infectious (you can't help but whoop along with Kerr on lead single ‘Lights Out’). But you're occasionally left feeling empty when moments don’t quite reach their full potential. The breakdown of ‘Look Like You Know’ snarls and growls but never evolves into a fully-fledged bite. The album is brought to a close by Kerr whispering the fantastic line of, “I don’t want to sleep because I’ve had enough of the same ugly dream” and, though it's powerful, the listener is left a little unsatisfied. Hints of greater and bigger things to come, turns out are never to arrive. In its own right How Did We Get So Dark? is a very good album. When considered within the wider picture, though – the realising of potential in their debut album, the devastatingly quick ascent of the band, the hope for hard rock and guitar bands – it's difficult not to regard it as a disappointing case of what could have been.